Bros Get Wasted; Girls Get Tipsy: Why Boozy Talk Matters : Shots - Health News The words people use to describe their drinking behavior can say a lot about how they perceive drinking, a perception that may not match reality, researchers say. And the language may also reveal risks that may not be obvious to the drinkers themselves. Man, you are going to get wasted. The words drinkers choose to describe their behavior may say a lot about the risks they face. Guys can really get hammered, can't they? I mean, totally trashed. Not me. I may have gotten a little buzzed at that birthday party, but that's it. The words people use to describe their drinking behavior can say a lot about how they perceive drinking, a perception that may not match reality, researchers say. And the language may also reveal risks that may not be obvious to the drinkers themselves. To find that out, researchers had 139 college students at the University of Missouri read a scenario with young people celebrating a birthday party in a bar. A character's drinking behavior was described, both in terms of how many drinks that person downed in three hours and in their actions. Did they slur their words? Stumble when it was time to go? Need help putting on a coat? The students used more moderate terms to describe the character's state when the character had been drinking moderately. That was true if the character was described as male or female. When the number of drinks and behavior made it clear that the person was seriously intoxicated, the students still described the female character with words like tipsy, buzzed and light-headed. The male character, by contrast, was termed trashed, plowed, plastered, gone and obliterated (plus a few more pungent terms). This perception of women as moderate drinkers, even when they're not, could lead women to underestimate their levels of intoxication, according to Ash Levitt, a research scientist at the University of Buffalo who led the study. "It's certainly easy to imagine a situation where they drive after leaving a bar, where they are too intoxicated to drive," he says. 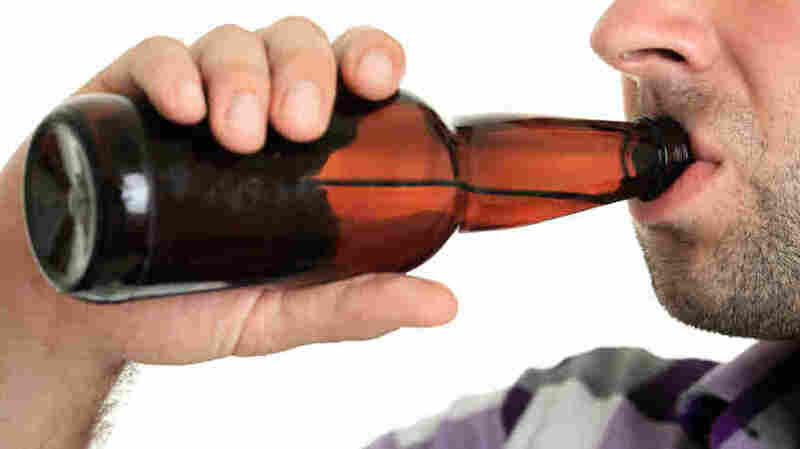 Men could face their own risks from the trashed-and-wasted view of drinking, Levitt says. Other studies have shown that students consistently overestimate how many college students drink, and how much they drink. If men think their role is to drink to get plastered, it could create more pressure to drink to excess, Levitt tells Shots. He's now going to try to match those perceptions of drinking to actual blood-alcohol levels, and real-world consequences, to see if those notions hold true. In the meantime, using the students' language choices in harm-reduction campaigns could mean fewer wasted students on campus, Levitt says.